basically I need some protection for my eyes and wear glasses. 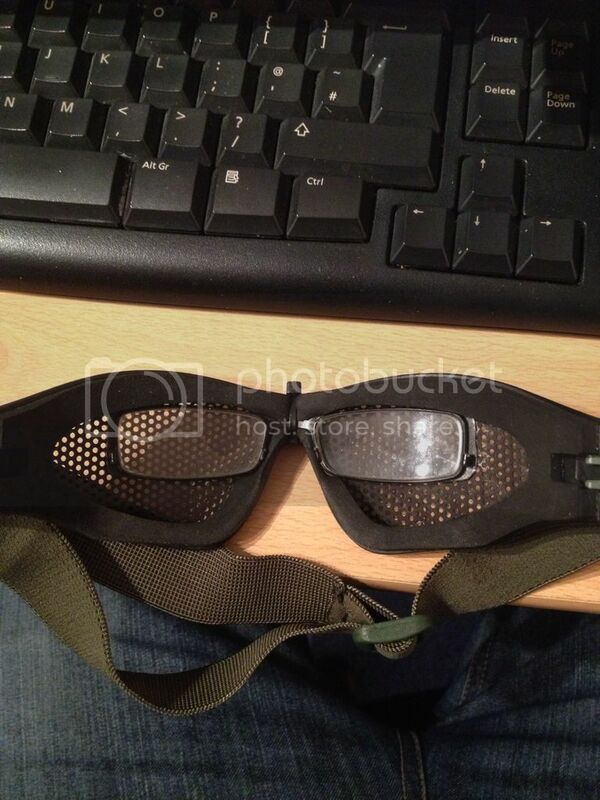 I have seen some of the ballistic over shields but they look cumbersome and you lose some visual clarity and if im honest....not very stylish.I've been to specsavers and was offered a pair of glasses with a small side shield but this did not meet requirements needed. I only have one pair of eyes and want to keep 'em safe! I've been going through the same, several websites offer prescription ballistic glasses, but these will cost you at least £100. I've just moved over to learning to wear contact lenses! I too have (had?) this problem, tried all sorts of stuff over my glasses until I just gave in and now wear contact lenses and ESS safety glasses. I use accuvue daily lenses, they're extremely comfortable and quite cheap. keep the ideas rolling in folks! Which go into these goggles. Take a look at this thread from a short while back. We discussed various different options and costs, you might find it helpful. Thanks guys....I cant belive how helpfull people are here.....merry xmas all!!!! !